There is something about the sweet scent of Strawberries that makes everyone as sweet as can be! This delightful Strawberry Basket is made from fine porcelain bone china with a high gloss finish in bright white. This detailed porcelain Strawberry Basket is faithfully reproduced according to the original green cardboard Strawberry baskets you would pick up at your local farmers market or health food store. Authentic details ad to the charm of this finely hand crafted porcelain basket. This elegant porcelain Strawberry Basket is finished with a smooth high gloss coating which reflects the colors of the Strawberries displayed within. 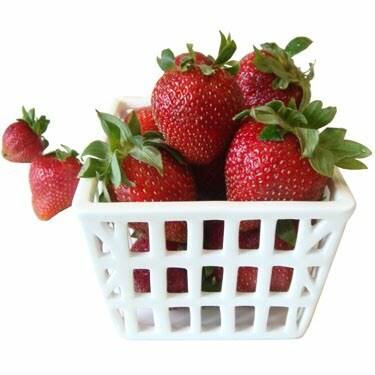 This porcelain Strawberry Basket has a very modern look and quality feel to it and is great for display and presentation. It may look delicate but it is actually surprisingly strong. 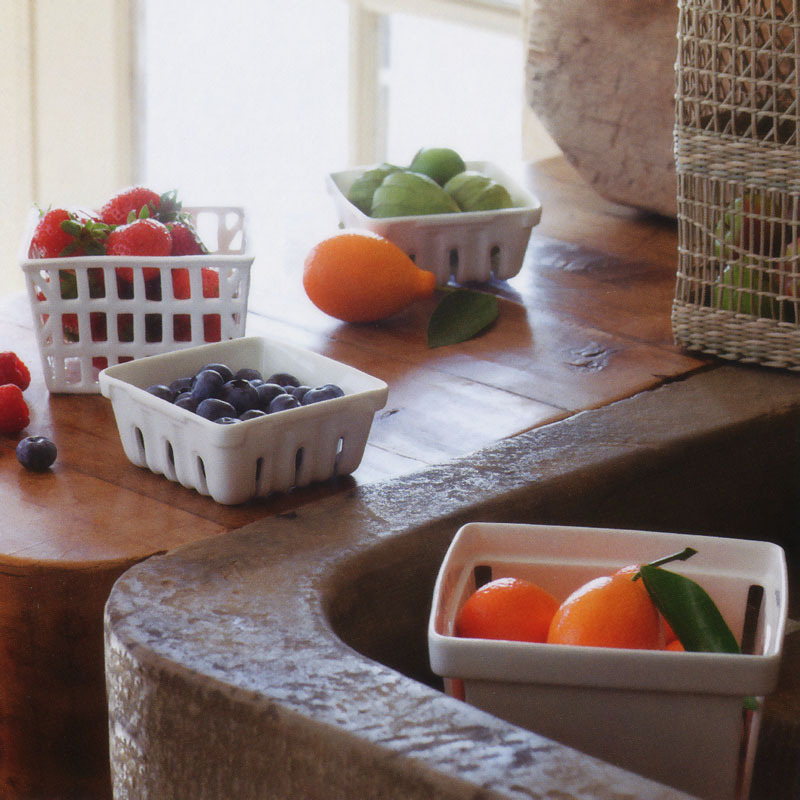 Our porcelain Strawberry Basket makes a very unique gift idea. 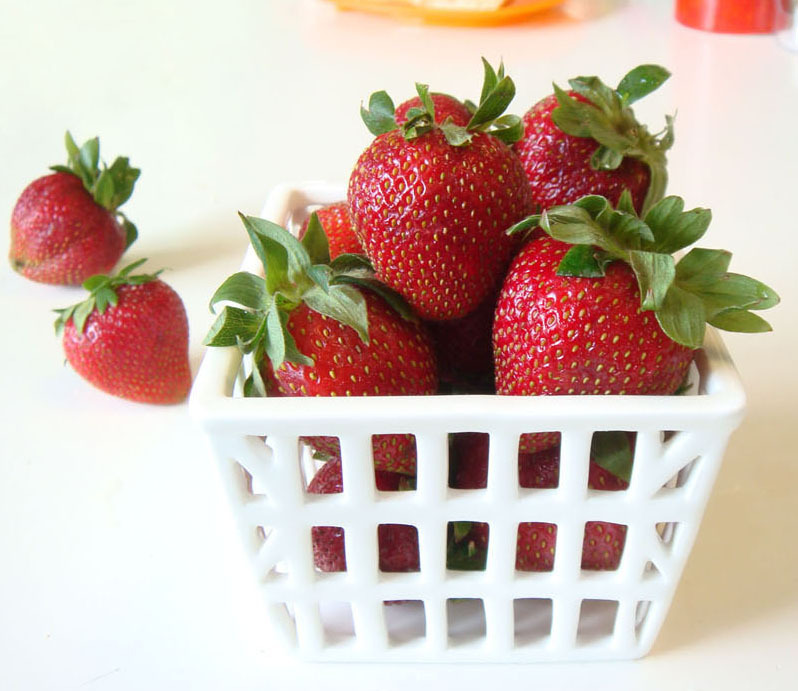 This versatile basket has a multitude of uses and is certainly not limited for Strawberries alone. It looks beautiful with any decor and its style make your strawberries even look tastier! Holds between 8 to 12 strawberries (depending on their size). Top rack dishwasher safe.